December 11, 2014. I awoke to light snow falling, dusting the edges of the trees and softening the landscape. Today started like any other December day, just as it did six years ago. Some events in life occur with no warning. 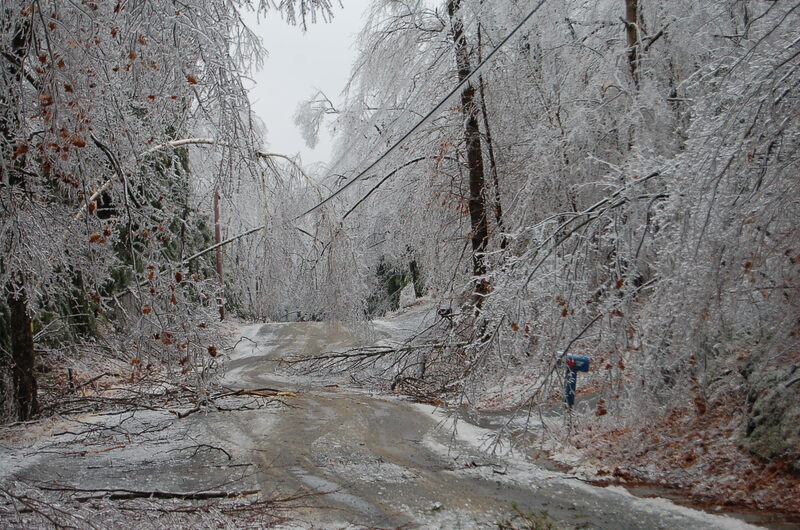 The historic ice storm of 2008 was one of those days. It started out benign enough. The day was clear. Throughout the night the sharp report of trees snapping like gun shots punctuated my sleep. I awoke to total silence – the gentle hum that powers life was gone. As the sun rose and the temperature in the house fell, I looked out on a world encased in crystal beauty. We would spend the next 10 days without power, water or heat. If I were granted a glimpse into a crystal ball that would reveal life in six years, December 11, 2020, with no story-thread to show me how events would unfold, would I understand or comprehend the changes to come? This entry was posted in memoir. 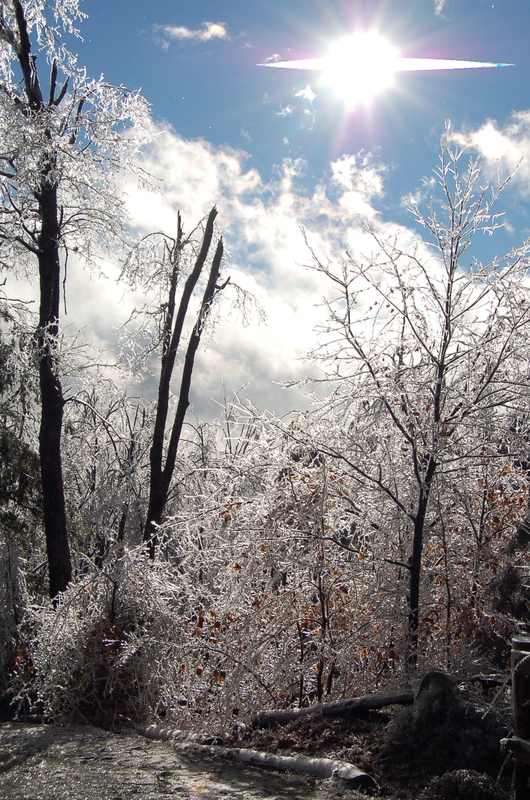 Tagged Crystal ball, future gazing, ice storm, Ice Storm of 2008, memoir, Power outages. Without the story of how it unfolds, it has no context and could easily be misinterpreted. I wouldn’t want a crystal ball because I think it would cause me to change things I do and how I feel. And there are always consequences to your actions. 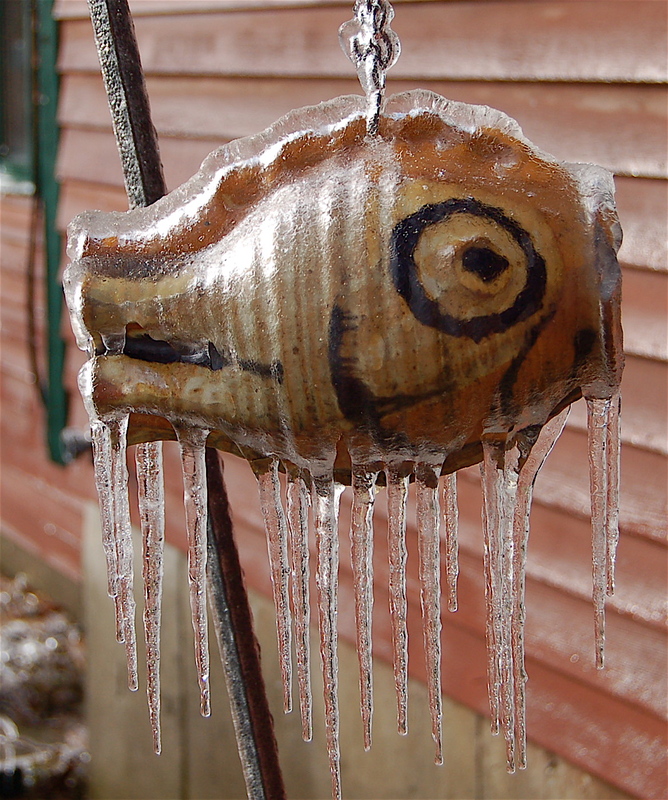 I think the Fish’s expression says it all….. No crystal ball for me either, I prefer to be marveled by how life unfolds itself. The ice is beautiful but it seems it wreaks havoc. 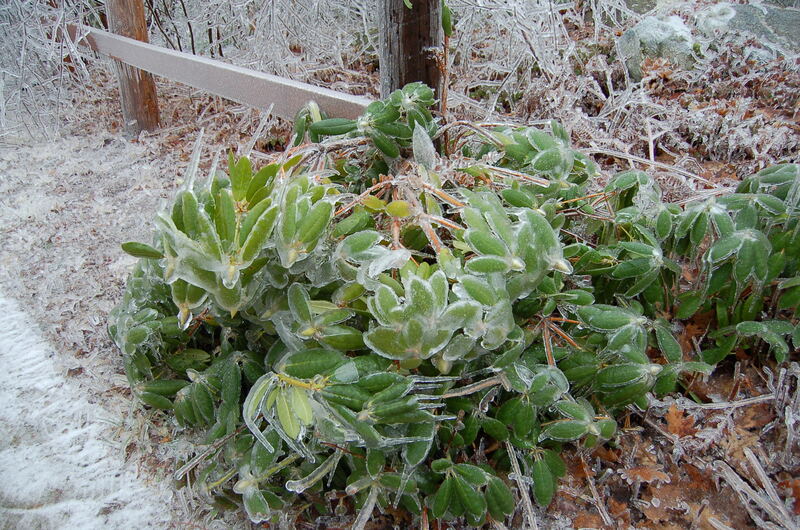 Those poor plants encased in an icy tomb, I can’t imagine they survived. I think looking into the future could well be a bad thing. I’d rather not know. Thank you Marie. The plants survived and actually thrived! It is a rhododendron that had become scraggly and after the storm, it came back blooming with a vengeance. I’ll never forget driving from Keene to Peterborough after that one. Terrible and beautiful, all at the same time. It was “Terribly Beautiful”!! I drove out after several days with thermoses of coffee for the workers along Route 123. They were wonderful folks from Florida to Canada, sleeping at the local armory, working to help us out. Love these photos Martha. Really stunning actually! The year my husband and I began our relationship occurred on the heels of a Halloween eve ice storm of mammoth proportions. Wonderful memories in any case because it signaled the beginning of that which is ‘us’. My apologies to those with less-than-fond memories of that 1991 north central Iowa ice storm! 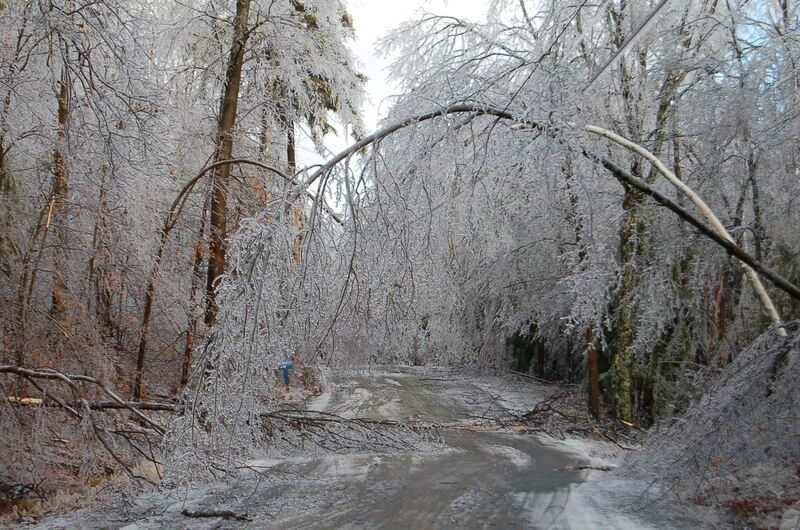 Thank you Julie, glad to hear good memories came out of your ice storm…silver lining always! !